various types of damage caused to over 5 million Donbas residents. The challenges of the hybrid war started by Russia have shown that investigation of crimes committed in the conflict zone is carried out by three separate entities – the Prosecutor General’s Office, Security Service and Ministry of Internal Affairs of Ukraine, acting without coordination and within their respective jurisdictions. This division does not help with drawing up a coherent picture of Russia’s aggression and thus with collecting evidence for the consideration of the International Criminal Court. As a result, Ukraine still lacks unified databases – of people killed during the conflict, damaged property, combatants and those suspected/accused of crimes committed in the conflict zone. How can we ensure accountability for war crimes and international crimes? 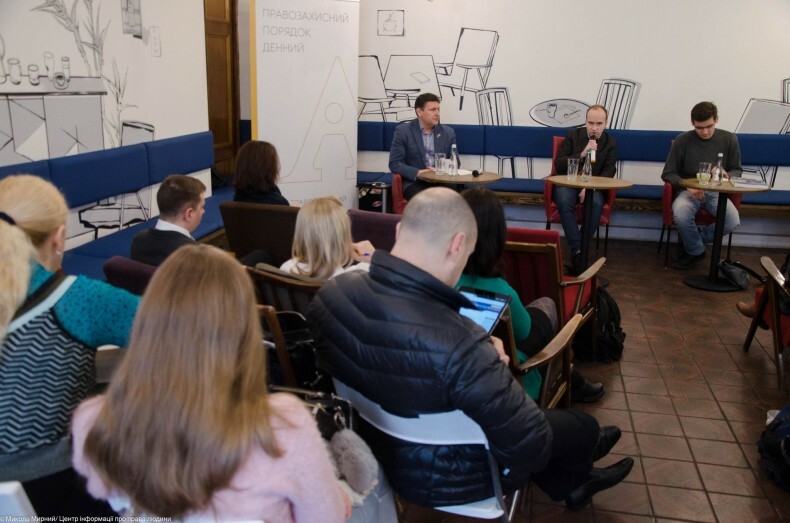 Various aspects of this issue were raised during the discussion organized on March 29, 2018 within the framework of the Human Rights Agenda platform and attended by the Center for Civil Liberties and Ukrainian Helsinki Human Rights Union. What should be changed in Ukrainian legislation to ensure efficient investigation of war crimes? (Kostyantyn Zadoya, Department of Criminal Law and Criminology, Taras Shevchenko National University of Kyiv). What international expertise will be of use to Ukraine? (Oleksandr Yevseiev, scientific advisor to a judge of the Constitutional Court of Ukraine). 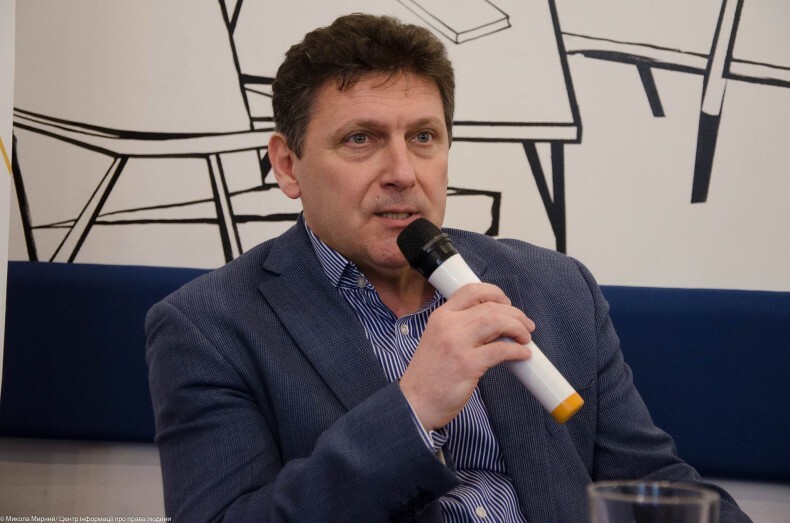 Oleg Martynenko, in particular, spoke about the resources necessary for legislative changes, which should include new investigators, prosecutors and judges. It is also necessary to review allowed forms of amnesty and the willingness of civil society to choose the national forms needed for peace. 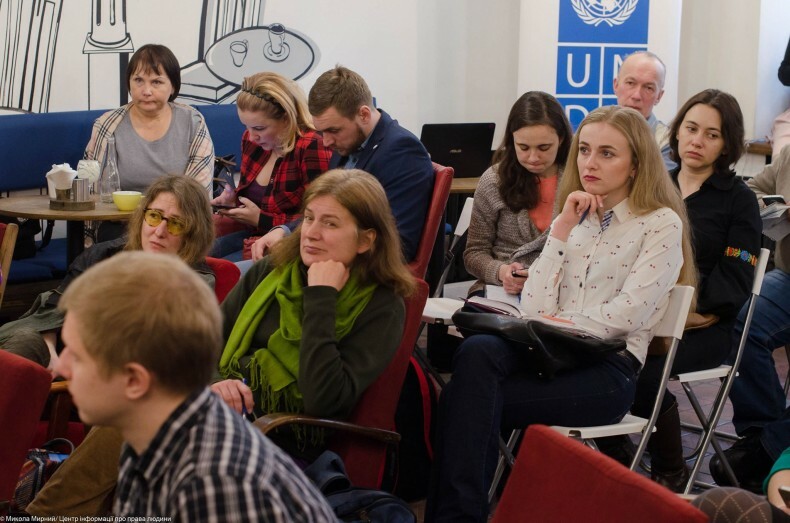 The expert paid special attention to the importance of advancing the draft law developed by UHHRU as part of the working group under the Ombudsperson, entitled “Principles of State Policy on the Protection of Human Rights during Post-Conflict Recovery”. In addition, the importance of adopting a comprehensive approach to addressing the issues of criminal justice in the post-conflict period, which is a component of transitional justice, was emphasized during the discussion.